Fresh ingredients always make the best salsas. 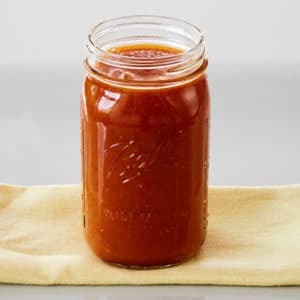 Make sure that your tomatoes are really red and ripe which gives the salsa better color and a richer flavor. Really fresh cilantro give the salsa a nice herbal tang. Avoid tired wilted cilantro because it has lost much of its flavor. Homemade salsa is always better. It really doesn’t take much work and the results are so much more delicious. Once you get in the habit of making salsa from scratch you will never buy salsa again. Your tastebuds just won’t let you. Really! Time to make some salsa! Provecho! 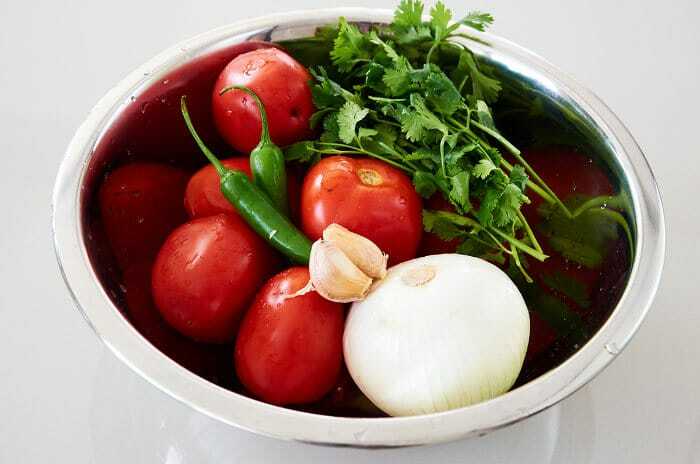 Versatile salsa roja recipe that is really easy to prepare. Made with plum tomatoes, white onion, serrano chile, cilantro and garlic. Great with chilaquiles, eggs, beef and chicken. With 2 serrano chiles the salsa is medium hot. Reduce the quantity of chiles to 1 if you prefer a mild salsa or increase the quantity to 3 if you prefer a very hot salsa. You don't need to remove the seeds and veins from the chiles. This salsa freezes very well. Divide the salsa into 2 cup batches and pour into freezer bags. 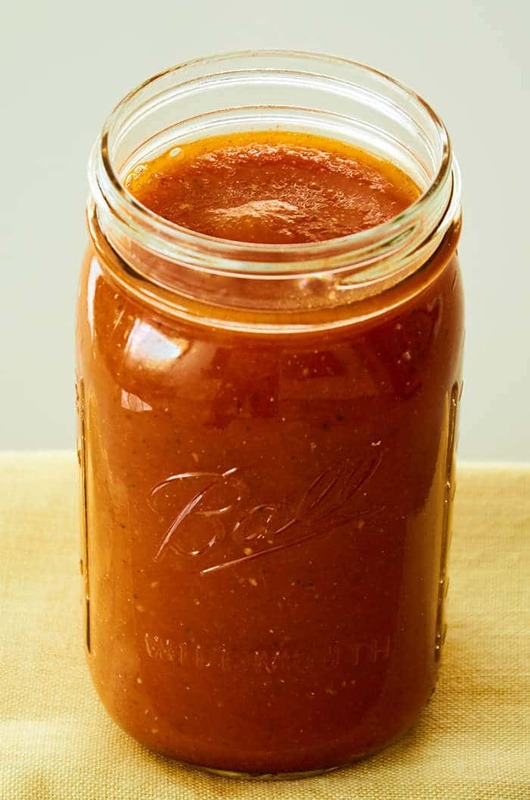 The next time you need salsa you will have four 1/2 cup portions ready to use. Mexico has an endless variety of incredible salsas. Here are a few more that we are sure you will enjoy. Which one is your favorite? They are all worth a try. Did you enjoy this recipe? Any questions? Please let us know in the comments below if you have prepared this salsa and how it turned out for you. Also, if you have any questions on preparation you can let us know in the comments too. Thanks for the salsa recipe! It’s just what I was looking for. Question: do you know what chiles costeños are? I have a recipe that calls for them but can’t figure out what they might be. Glad you like the recipe. The costeño is a dried chile related to the guajillo. You might want to try substituting guajillos for the costeños. Cheers! Did he even try it?! These quantities result in a pan of watery,orange bland goo! Might went straight down thew toilet.From the other comments it appears I am not alone in this experince.Thank you Douglas for wasting my time and tomatoes! I added a can of tomato paste and some ground jalepeno powder and it came out great! I never add water when I make salsa. Admittedly I only ever make salsa verde because that’s what I prefer but if I made this I would remove the ingredients from the pot and put them straight into the blender no water needed. I also boil my tomatillos whole which keeps the liquid in so I would probably do that with the tomatoes as well. This exactly! Wish I had read the comments first.Waste of food,gas and effort! Yup really particularly bad recipe.It felt wrong as I was looking at the blender mix.It doesn’t even make good soup so it went down the toilet. I followed your instructions fastidiously.However I now have a big pan of runny orange soup. The frying off stage simply doesn’t work with that quantity of water in the mix.